This is a part of our Beach-Resort Caftan Kaftan Series. Autumn/Winter is coming and we wanted to design something exotic, elegant yet comfortable for the occassion. 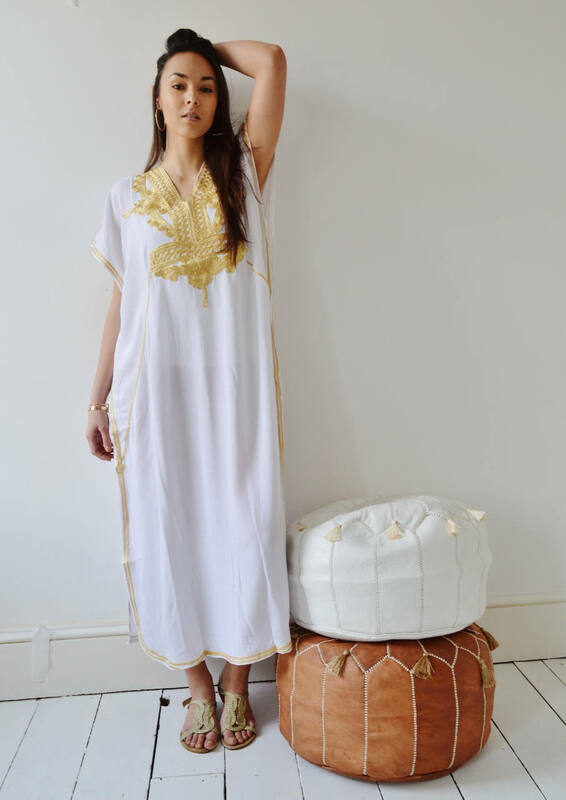 ♥This caftan kaftan comes in One size (Suits S/M/L/XL up to bust 125 cm, 50inches). Item described well. Will need to wear a slip under the dress. The fit was great. Will be purchasing more items from this seller. Item arrived 14 days from date of shipment. Great shop! Great kaftans. Will shop for more. Thanks maison marrakech for your lovely items. Beautiful kaftan piece. Really pleased with it. Just as described. Will recommend and will buy more from this shop. thanks Maison Marrakech. You're the best! Nice kaftan , very light to wear as a beach cover up, with a lining can also be used for going out, Just loved it! Perfekt für den Sommer, den Strand oder auf dem Balkon.